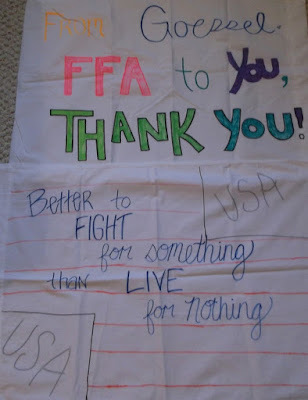 Care Packages for Soldiers: Future Farmers of America in Goessel, KS, Decorated Pillowcases for the Soldiers! Future Farmers of America in Goessel, KS, Decorated Pillowcases for the Soldiers! The Airborne Angel Cadets of Texas would like to thank the Future Farmers of America in Goessel, Kansas for the 100+ pillowcases they decorated for the troops.The pillowcases were included in the care packages we packed on January 9th. The troops will appreciate all the work that went into creating these beautiful pillowcases and should bring a smile to their faces when they go to sleep at night. Thank you for supporting our military troops overseas. 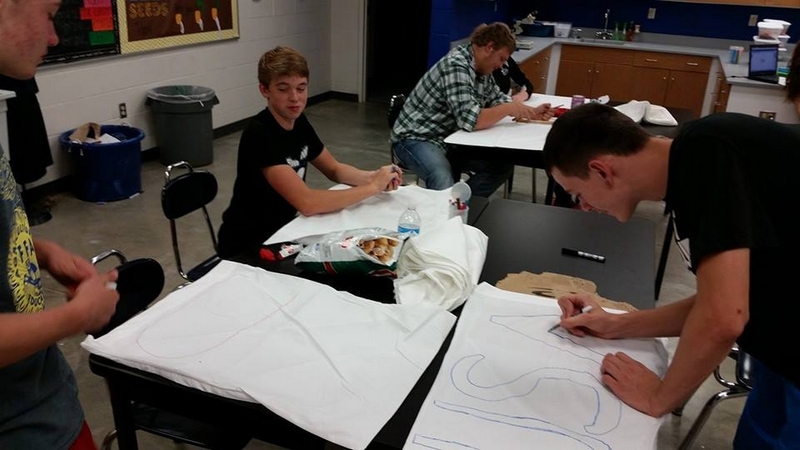 FFA students drawing on the pillow cases. 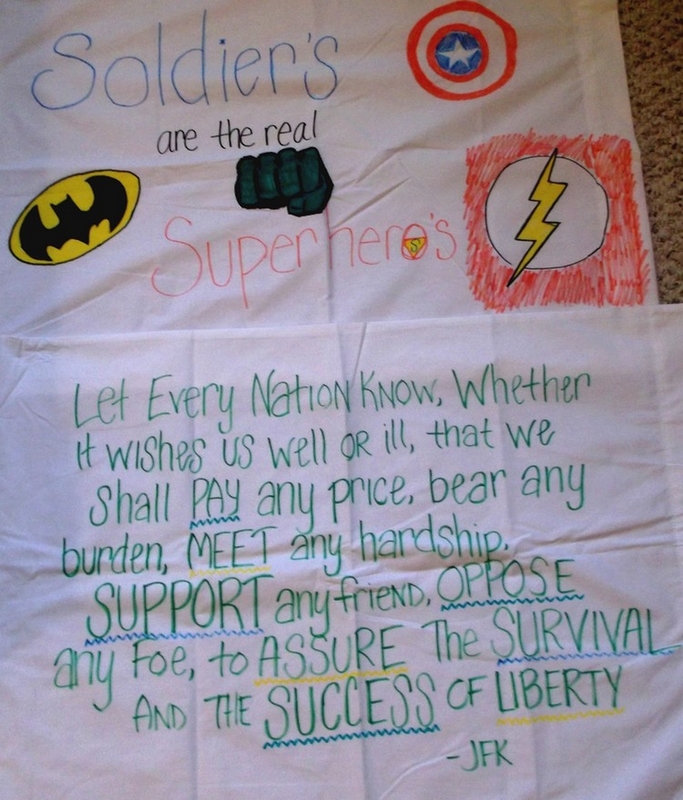 A small sample of some of pillowcases the students created. 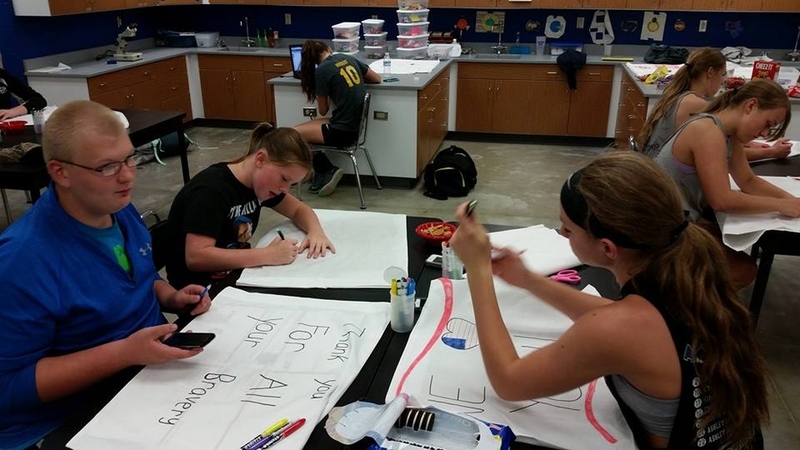 More FFA students hard at work decorating pillowcases for our troops! Two more pillowcases created by the FFA students in Goessel, KS.